At the Historic Ward Rooming House, the National Hampton Alumni Association, Inc., South Florida Chapter is hosting an alumni mixer. Friends of Pirates are welcome as well. 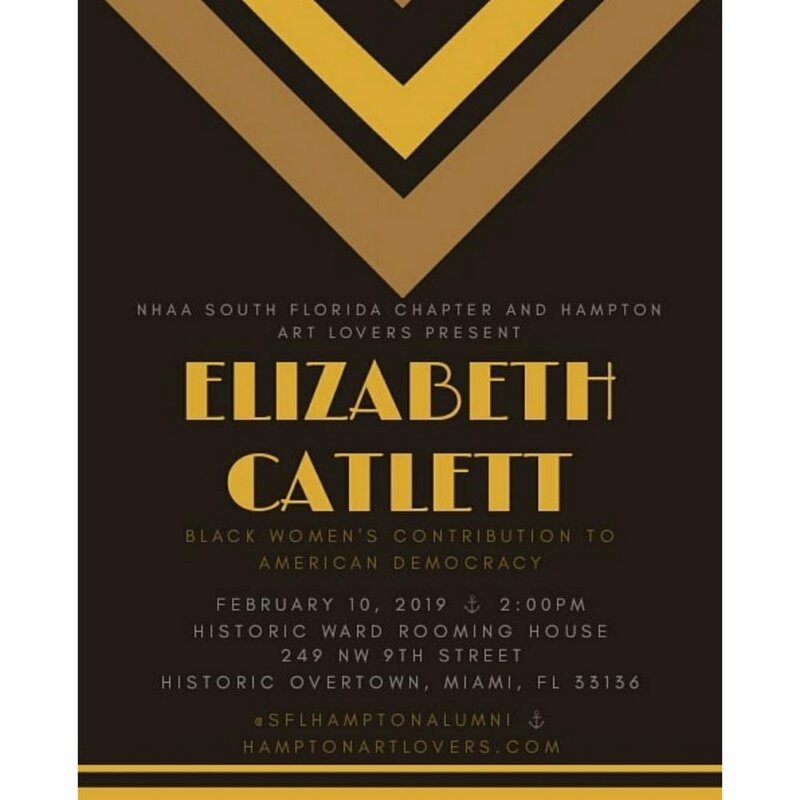 Have a glass of wine and discuss the works of Elizabeth Catlett from the collection of the Hampton University Museum.